Below are images of a family, they seem united and pleased, and they also seem to understand their importance. They are part of the Royal Family of Romania, and two of them are famous in their own right. 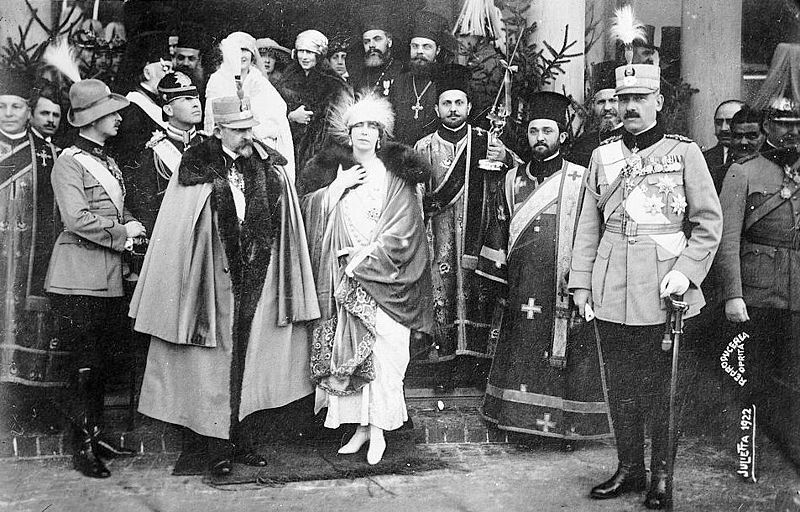 Queen Marie of Romania was the consort of King Ferdinand of Romania (she is the lady in the white feathered hat, he is standing to her left.) You can see her in the center of the top photo with her husband on the left and her eldest son on the right. Between Marie and Carol are the priests of the Romanian Orthodox Church. 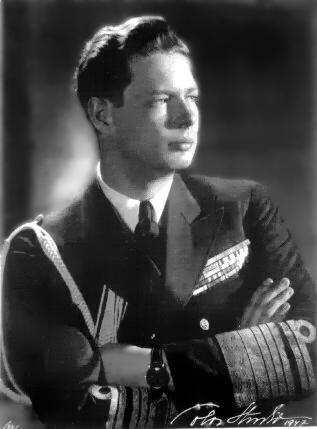 This son would become Carol II of Romania. When his father died he did not become king. Carol II had renounced the throne, and his son Micheal became king in 1927, at the age of five. At the age of eleven Michael was usurped by his own father, and he once again became Prince Michael. This photo of Michael of Romania was taken during his second reign. His father Carol decided to come back to Romania, and he took the throne from his son. Later Michael regained the throne and proved to be an effective leader. He mentioned several time he learned a lot about running a kingdom well from his grandmother, Queen Marie. Just like many historical leaders, such as Roman Emperors, who worked hard to create a dynasty, King Ferdinand and Queen Marie created a dynasty. Marie, much like her grandmother Queen Victoria would be known by a smaller title that of the "mother-in-law of the Balkans" as her daughters would be Queens of Greece and Yugoslavia and one would become an Archduchess of Austria. Michael's cousin Peter would also become a King while still a child- and Marie would be able to claim that two of her grandsons were Kings in the Balkans. Her daughter Elizabeth, who was for a time Queen of Greece did not have children.